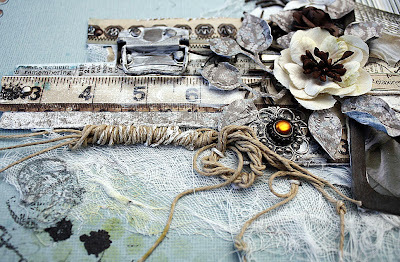 lots of texture and metal elements on this layout . twiggy branches, silver metal, jute/twine, scalloped edges, circles, rounded corners. 6 awesome things about summer holidays . high on a cliff with glorious views overlooking Nora Criena Bay. exploring, swimming, and catching fish . I loved to gaze at the rugged coast and wild ocean, becoming mesmerised by the constant movement of the ocean . light invigorated my body with boundless energy. such a magnificent unspoiled part of this land we call Australia . thanks for popping by and I do hope you will have a play at solving this case . Wow, I totally love this one! The colours, the details, the different textures...everything is so beautiful! Each of your layouts are worthy to be framed and put into an art gallery. Another stunner. No one does blue like you....honestly, I find blue really hard to use but you always create the perfect page. This is stunning, so much I love about this.. it has a peaceful feel to it, I love how you have the twine, just like rope at the docks... beautiful Heather.. There are no other words to describe your pages. I don't comment on them all Cosmo don't want to sound so stupid but your pages are just amazing. Oh to be slightly talented like you!! I love the colours in this page. This is gorgeous!! I love love love love the colors, the mesh material and the flowers!!!! 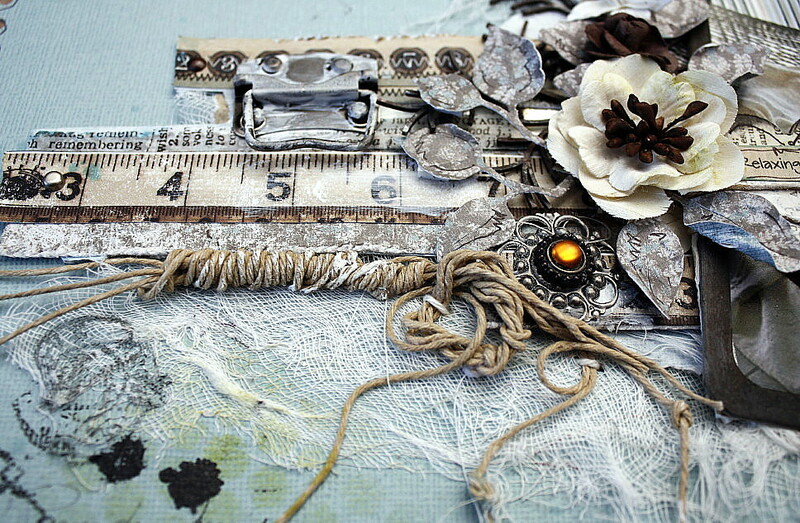 Wonderful, so many clever embellishments! 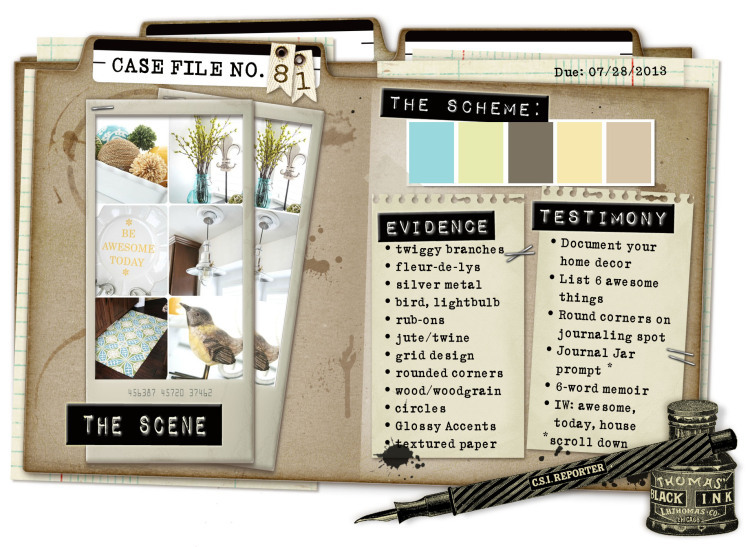 Love the colours and the whole way you have put this together! SO very stunning!! I love that awesome wrapped twine stuff....I love that idea..so creative! 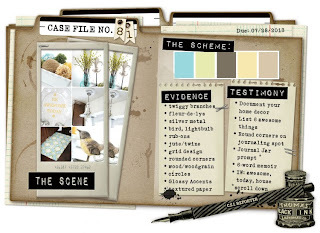 Amazing detail, design and colour hues Heather, you always work magic in your layouts no matter what you use.... love this so much. Your pages are always incredible Heather; there is so much detail, so many elements, so many layers and they are even more amazing when you get to see the real thing. I, like Bel, don't comment often as we would sound like a broken LP! Beautiful! I love all the details on here - especially the twine twisted up like that. Gorgeous layout!! WOW so beautiful and your journaling too is magnificent!! So gorgeous in everyway...! You certainly create magic with paper...beautiful! Gorgeous, as always Heather :). Wow Heather this is simply gorgeous! LOVE the mix, the texture, the entire look! Brilliant!